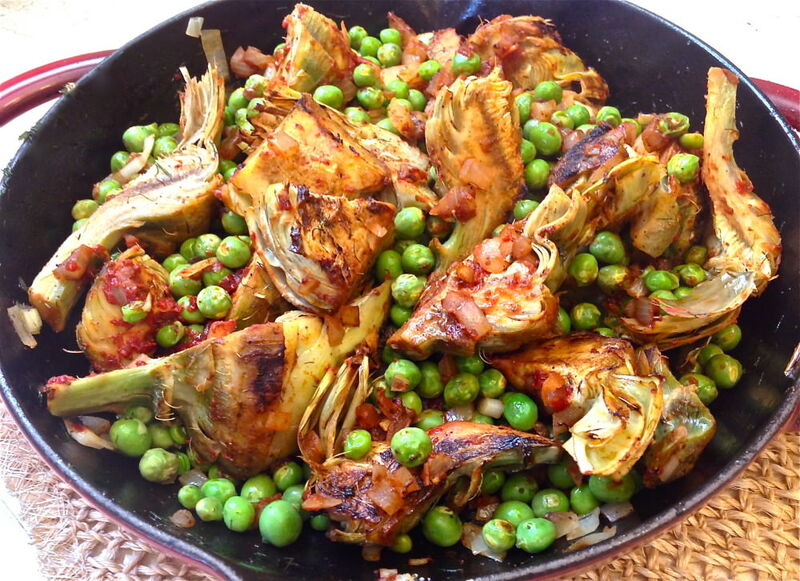 artichokes can be served raw or cooked. 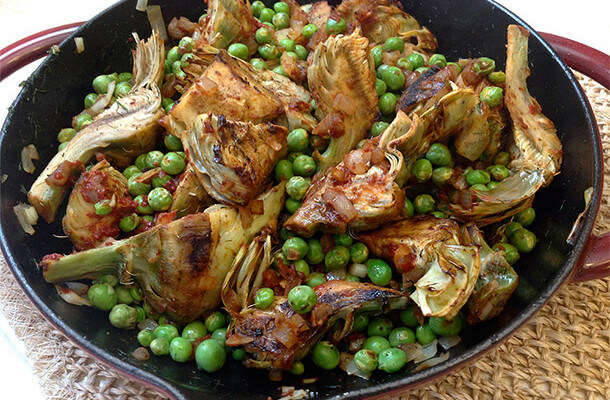 Any way you cook them, they contain large amounts of vitamins A, C, B complex and are an excellent source of calcium and phosphorous and many more incredible health benefits. in a pan or grilled in the oven, lightly brushed with olive oil. 2. Heat the olive oil in an oven-proof pan. 3. 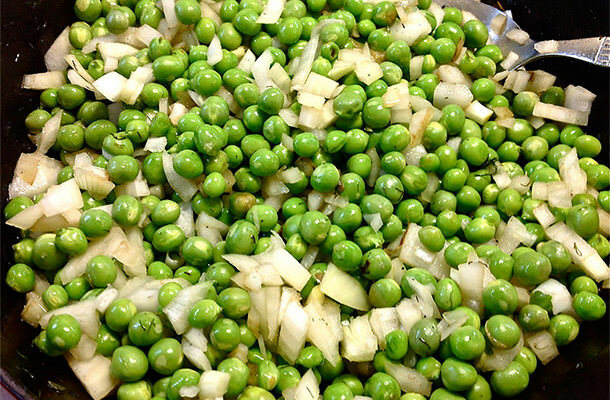 Sauté the fresh peas for 2-3 minutes, until their color brightens. 4. Add the chopped onion, continue to sauté until onion softens and turns light brown. 5. 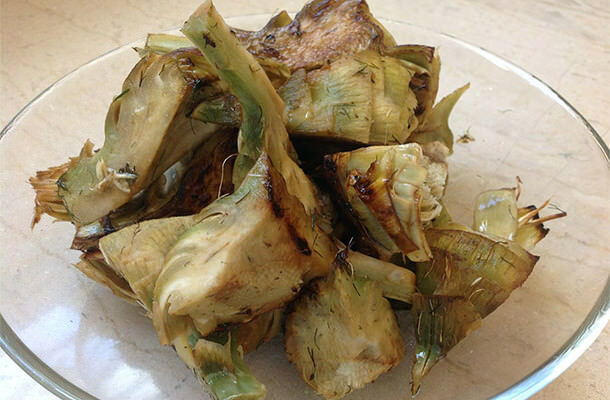 Add the browned (or grilled) artichoke hearts. 7. Stir in your lemon juice (and/or white wine) all the while scraping the bottom of the pan to lift all the tasty bits into your sauce. 8. Add enough water to fill the pan up to 3/4. 9. Stir in salt and pepper to taste. 11. Remove from oven and allow to slightly cool before serving. 12. A chunk of feta cheese can make it extra savory and a baked potato on the side can make this an extra satisfying complete meal.